What does IDEIA stand for? 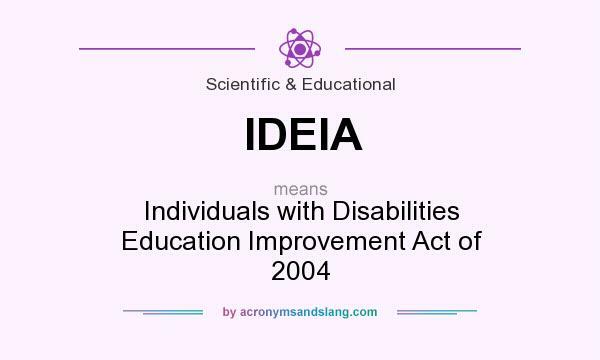 IDEIA stands for "Individuals with Disabilities Education Improvement Act of 2004"
How to abbreviate "Individuals with Disabilities Education Improvement Act of 2004"? What is the meaning of IDEIA abbreviation? The meaning of IDEIA abbreviation is "Individuals with Disabilities Education Improvement Act of 2004"
IDEIA as abbreviation means "Individuals with Disabilities Education Improvement Act of 2004"